Designed to carry your bike in public transportation systems (and particularly the train in Europe!). 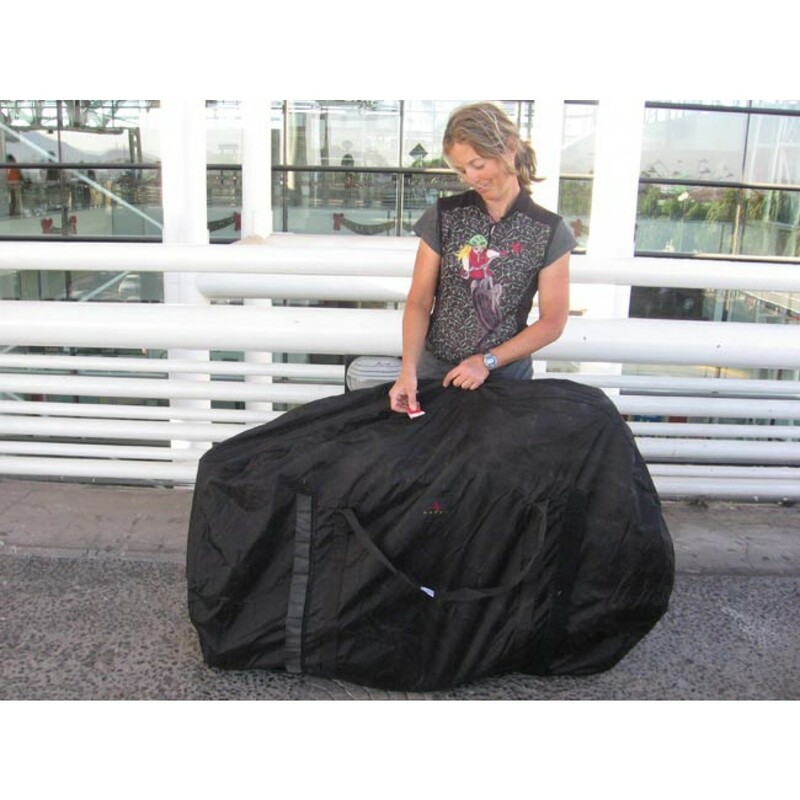 This bike bag, is designed to carry your bike in public transportation systems (and particularly the train in Europe!). From the airplane to the bus, from the train to the taxi, you can handily carry your bicycle with the integrated shoulder strap. 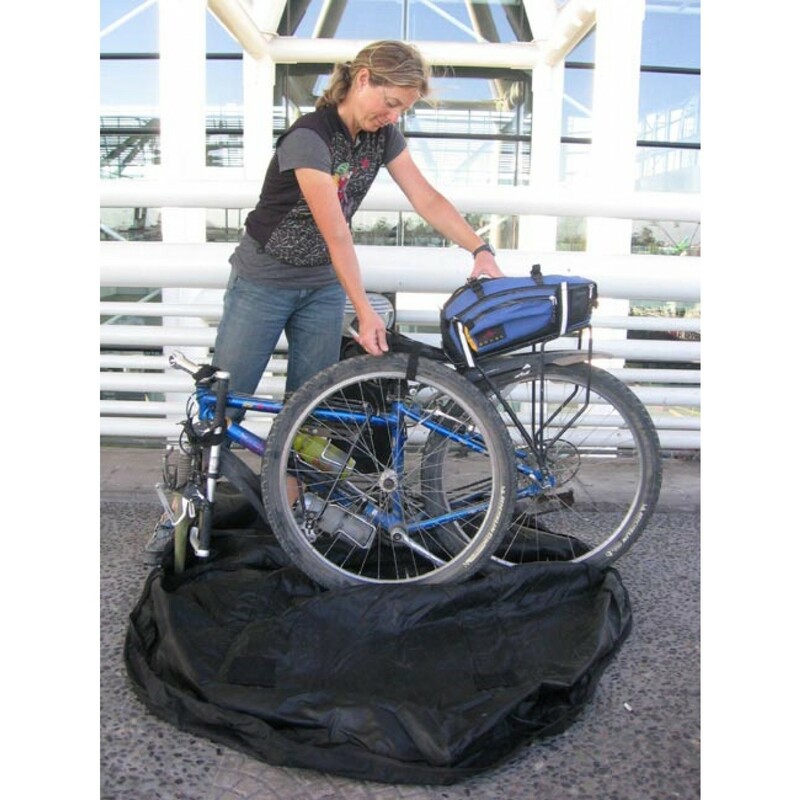 We’ve favoured lightness over ruggedness to folds into a small pack that you can carry inside your panniers or strapped on top of your bike rack. 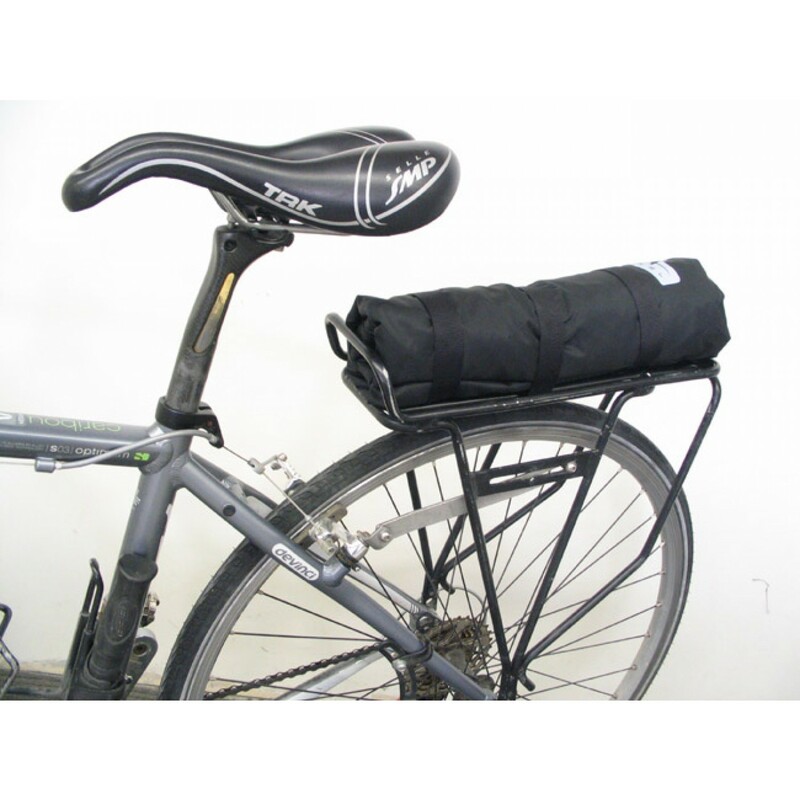 Folded dimensions 10" X 9" X 1 3/4"
Reinforced Cordura fabric bottom where fork rests. 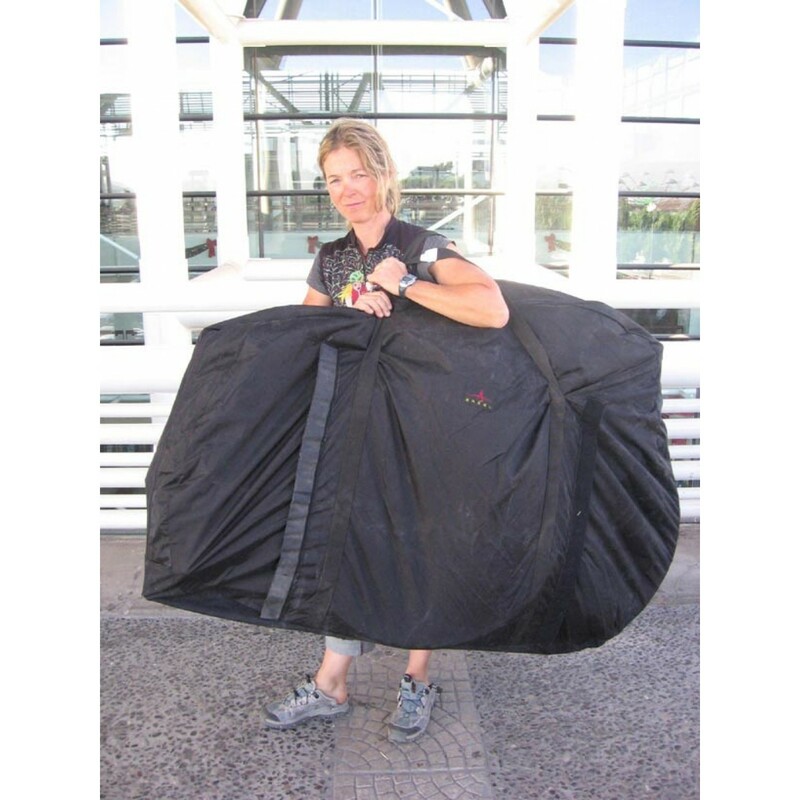 Folds into a small pack that you can carry inside your panniers or strapped on top of your bike rack. 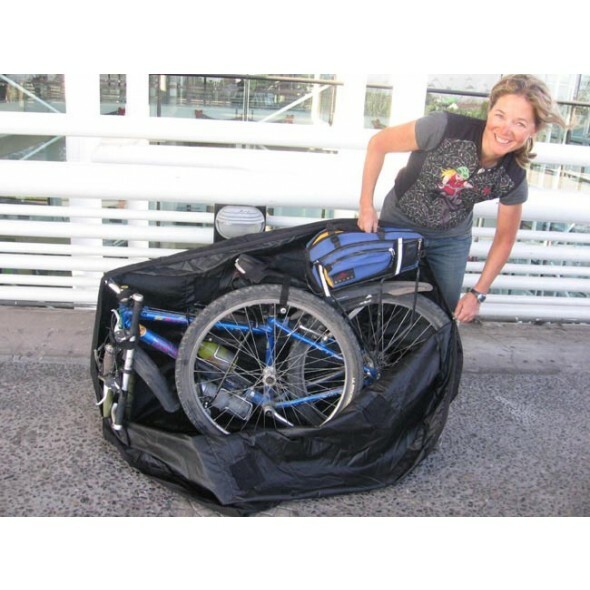 You can fly out with a cardboard bike box and fly back with the Bike Carry Bag. No need to keep bike case at destination hotel. Remove pedals & front wheel, turn or put handlebar sideways and you're all set. 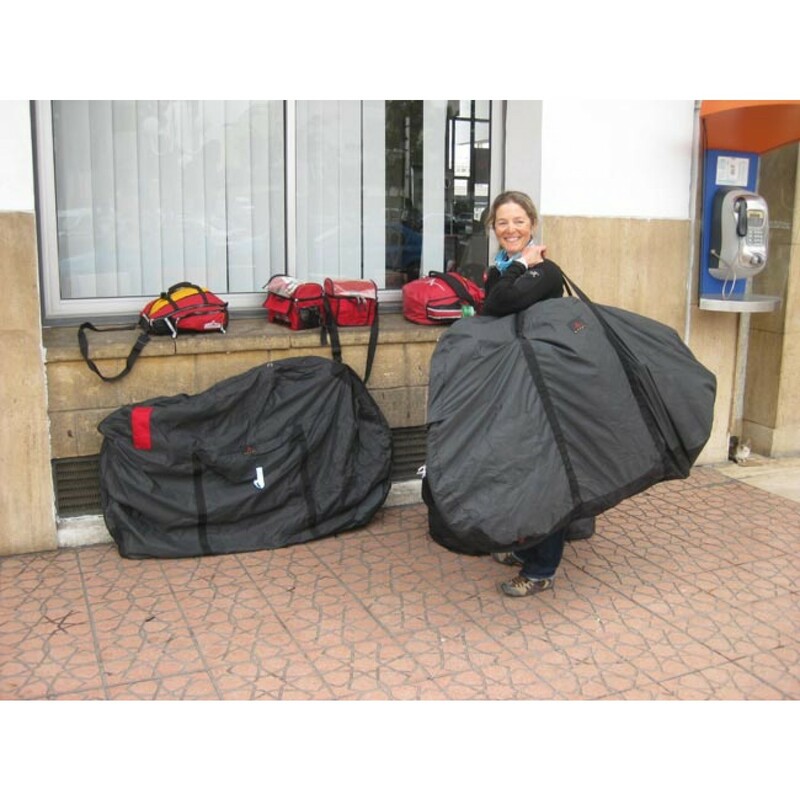 "Flying out on all of our trips, Louise and I always use cardboard bike boxes that we get for free from our friendly local bike shop. 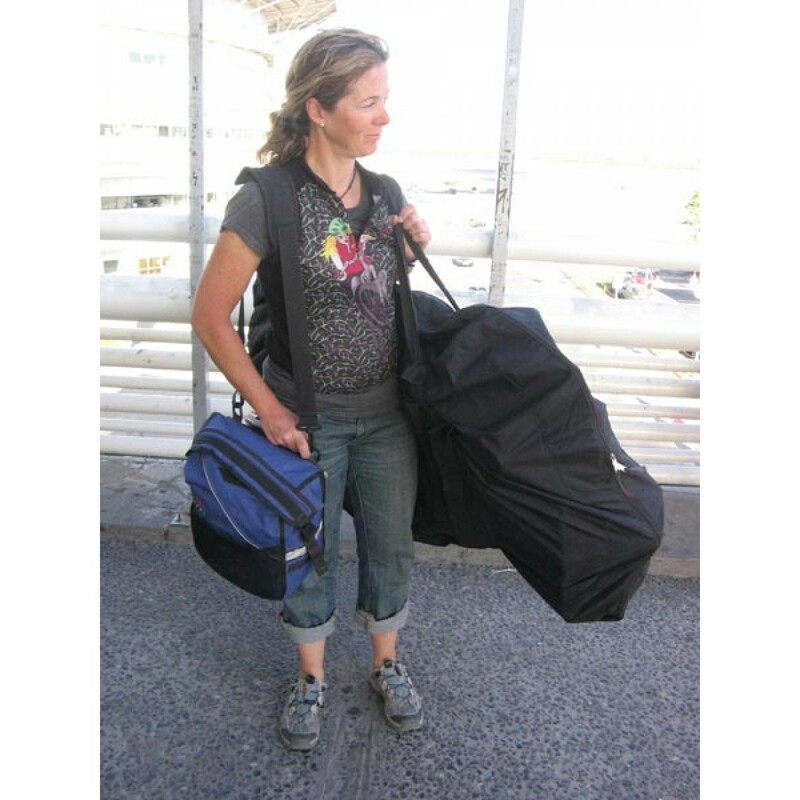 We ditch the boxes at the destination airport and roll up our two Bike Carry Bags together on my rear rack or strapped to my TailRider. We use the bags on trains and buses where compulsory and always on the plane trip back. Never had damage to our bikes - so far so good. 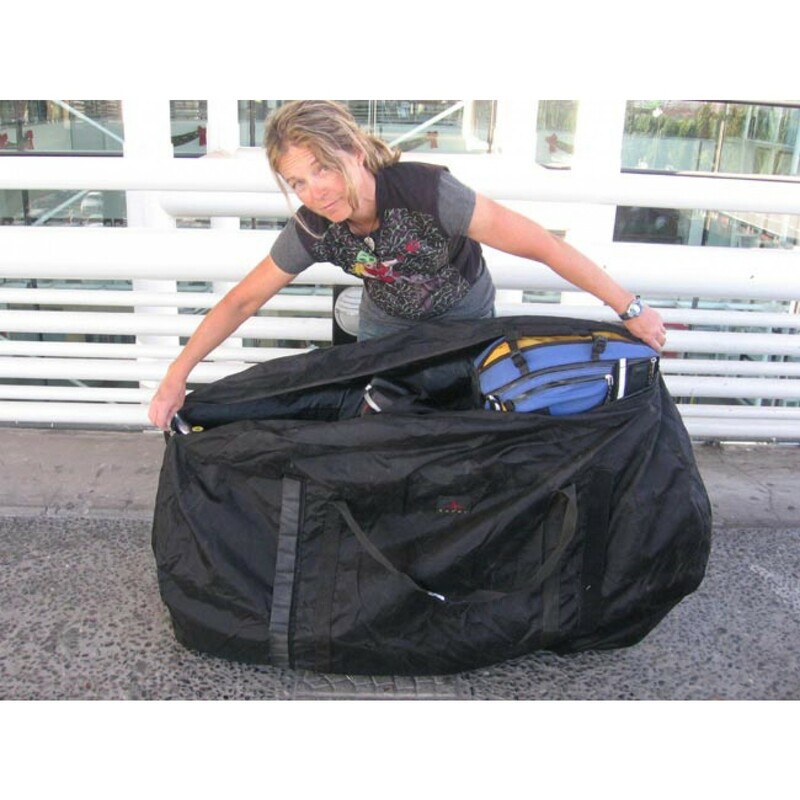 We've also used the Bike Carry Bag for numerous picnics on the grass or beach and as a tent floor mattress" Paul, Arkel Owner and long-time cycletourist. Here, Paul has two Arkel Bike Carry Bags strapped to the top of his rack. Great Bag & Lightweight too! These bags are great. 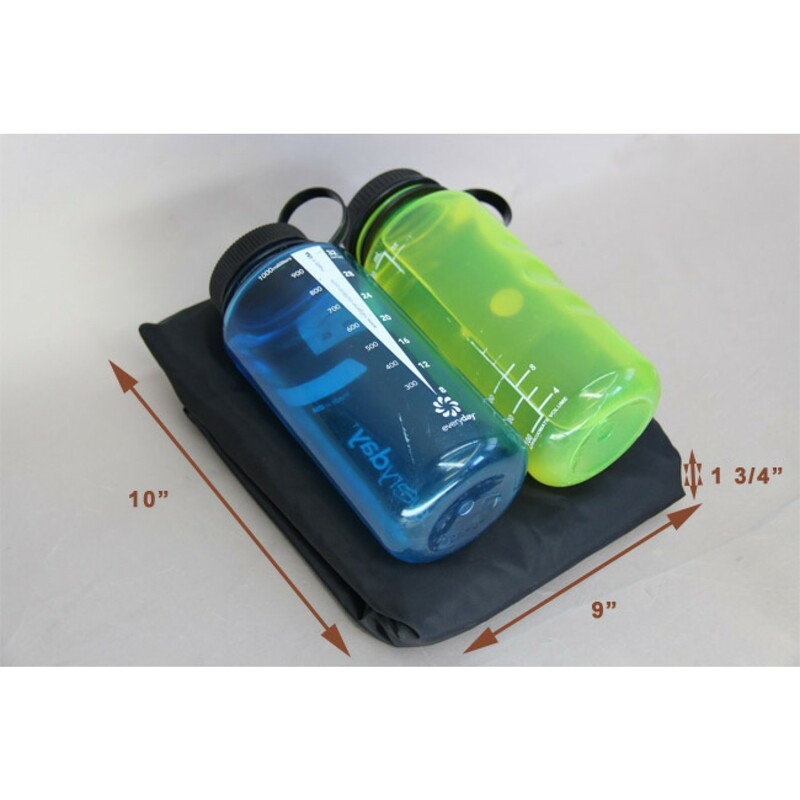 They are relatively lightweight and can be placed in a small Eagle Creek compression bag for for easy transport. We traveled in fancy trains in Germany and Austria and on catamaran ferries in Croatia that technically did not allow bikes without too much trouble. The bags are easy to carry. 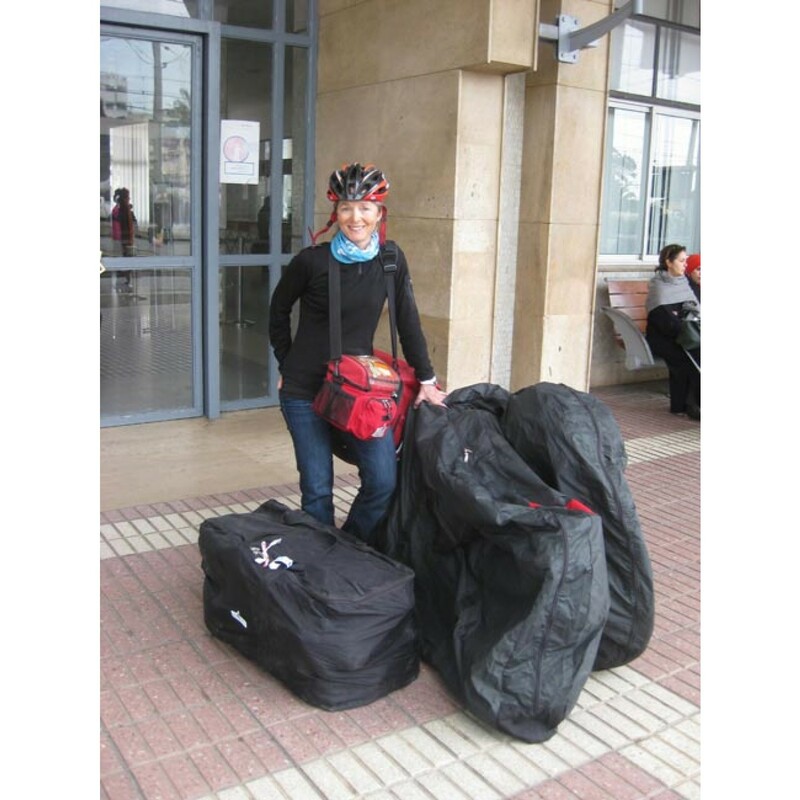 Packing is a breeze too - just remove the front wheel, pack, zip and off you go! 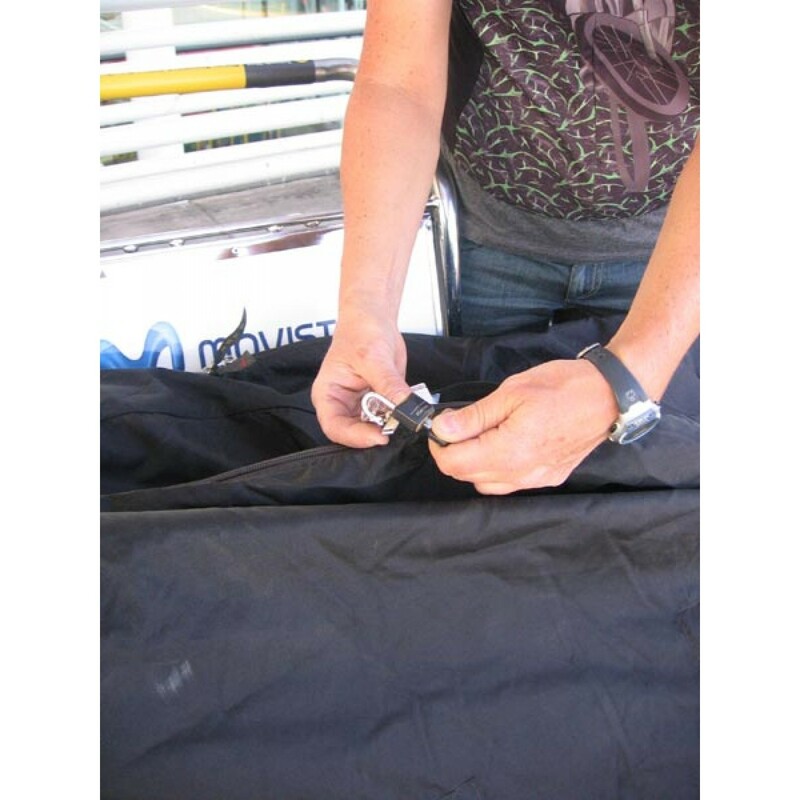 The zippers are long and make packing the bike easy.